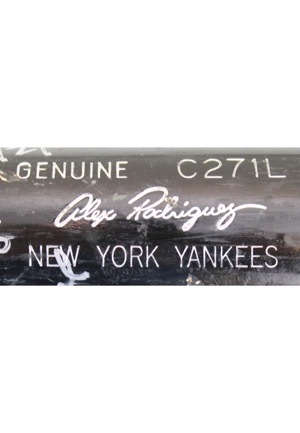 Alex Rodriguez used this bat to hit career home run #548, which tied Mike Schmidt all-time, on September 2, 2008 against the Tampa Bay Rays. 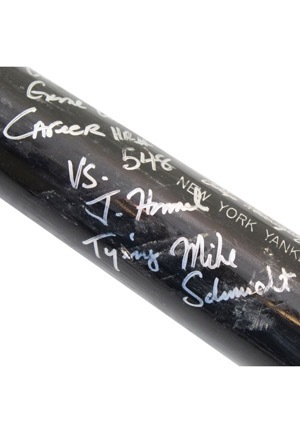 Rodriguez took Rays reliever Jason Hammel deep in the 8th inning. 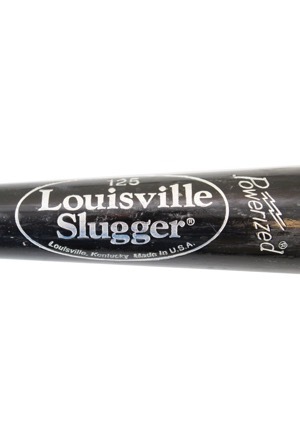 Manufacturer: Louisville Slugger Model Number: C271L Length: 34 inches Weight: 30.5 ounces. 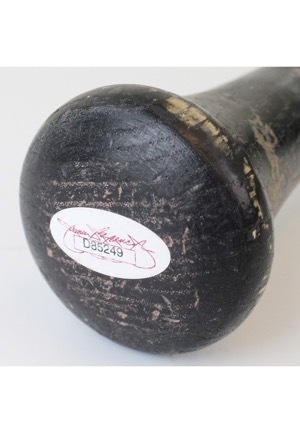 The bat is uncracked and shows evidence of outstanding game use with ball marks and bat rack marks throughout. 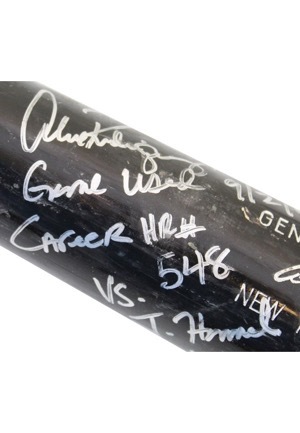 Rodriguez signed the barrel of the bat in silver marker with the added inscription “Game Used 9/2/08 Career HR# 548 Vs. J. Hammel Tying Mike Schmidt” and in our opinion the signature rates an 8. 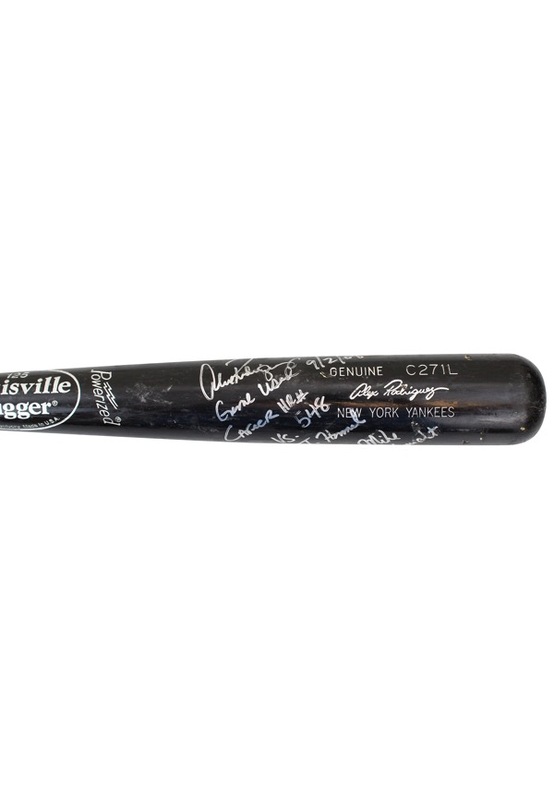 On the knob of the bat is a JSA sticker serial number “D85249” and on the bottom is a PSA/DNA sticker serial number “1B01223”. 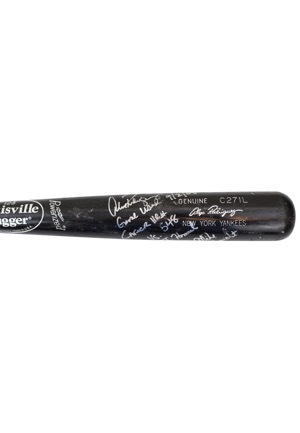 Accompanied by a LOA from JSA and a PSA/DNA LOA grading the bat a GU 10.